First day was probably a bit of challenge, but not too hard? Keep the swaps in mind at all times during the day and evening when you are most likely to reach for a snack or your go-too drink. TODAYS CHALLENGE. Now is a good time to start a food journal. From today and for the rest of the week, start writing down what you eat and drink throughout the day and how you feel. You will be surprised when you look back at it and see how many sugary things you eat and drink every day. Make sure you write it down right away (whether it be in a paper diary at the back, a sheet on your fridge or in an app on your phone). Do email me on contact@exsugarholic.com. I would love to hear your story, what you eat, why you are on this journey and how I can help you. Fire away :). 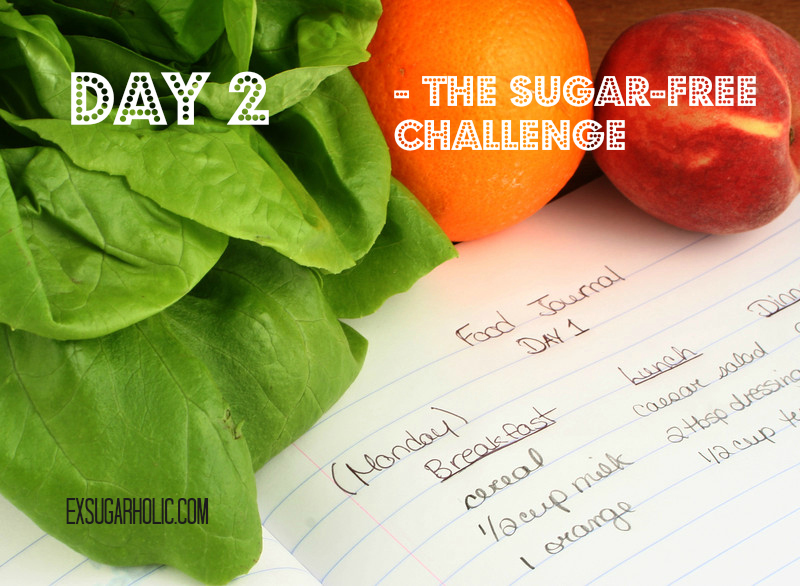 « Sugar-free challenge – DAY 1!